The 15th Edition of Fanta Dance Festival – European capital of culture for 2017. 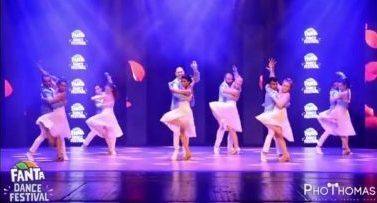 FANTA Dance Festival gathers the dance lovers worldwide, the best teachers, the most amazing dance performances and the most interesting workshops. The festival is open to amateurs as well as professional dancers. More than 60 dance workshops in three halls. For 15 years in a row Fanta Festival keeps being the most quality event in Bulgaria gathering the best dance artists from all over the world. Three days full of workshops, shows and endless parties. Incognito Dance are the ONLY UK company with a discounted promo code valid so hurry now and book now.